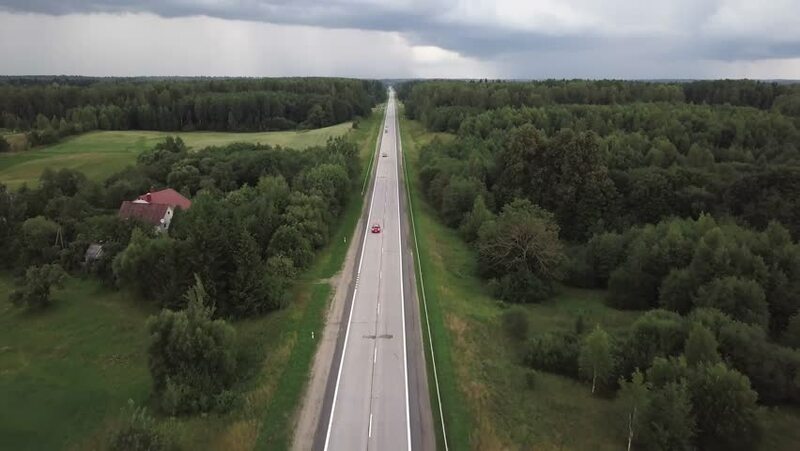 4k00:29Aerial shot of the highway among the fields and woods near dacha communities, Russia. 4k00:22Aerial: Flying back over the highway, located in a dense forest. On the road passing cars and trucks, in the distance - view of the tourist city. hd00:10Aerial view of a car driving through scenic road with trees on one side and trees with field on the other.